There is no doubt living longer at home is encouraged, as doing so has been linked to greater health outcomes and overall quality of life. But with more seniors staying at home, there are also more seniors requiring care from others. There is no doubt living longer at home is encouraged, as doing so has been linked to greater health outcomes and total quality of life. But with more seniors staying at home, there are also more seniors being cared for at home by others. Nonetheless, considering the well-being of those being cared for and to those offering the care is warranted amidst not only the growing population, but the inflating life expectancy rates. According to the Pew Research Center, the U.S. population is projected to grow to 438 million in 2040 from 296 million in 2005, while life expectancy is also projected to improve to 83.3 years for women and 79.5 years for men by the year 2030. Amongst these rising numbers, more seniors are opting for home health care over residing to a nursing home. 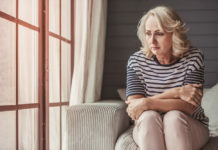 But described by an AARP report, close to nine in 10 older Americans intend to continue living in their current homes for the next five to 10 years. 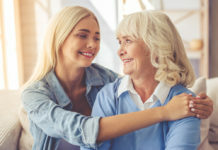 Nonetheless, a growing population means a growing number of caregivers, as many seniors also find it difficult to live independently according the to same AARP report mentioned above. 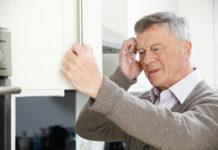 Furthermore, nearly two in 10 Americans aged 70 and older say they either cannot live independently and accomplish daily tasks without assistance from caregivers or find it difficult to do so. 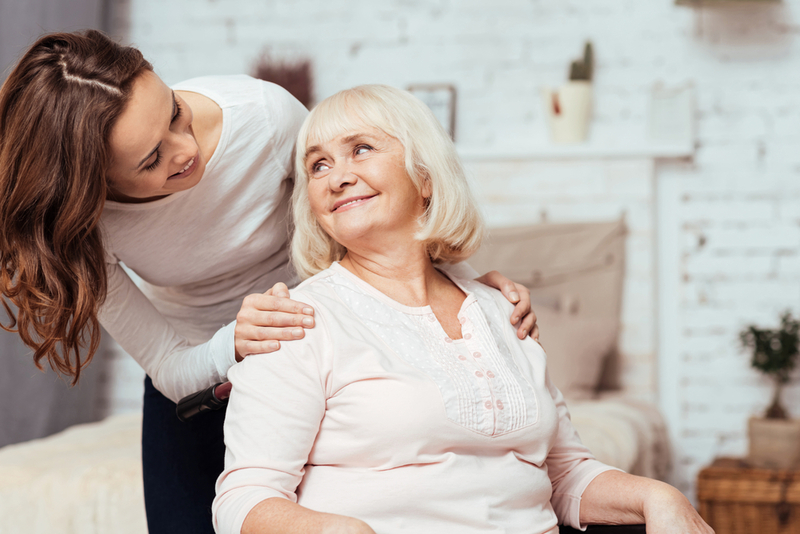 Whether it be a family member, friend, neighbor, or long-term care resident, caregivers are unpaid or paid individuals who assist in the care of others. The Family Caregiver Alliance approximates 34.2 million Americans have provided unpaid care to an adult age 50 or older in the last 12 months. Family caregivers spend an average of four years providing care 24.4 hours per week, while nearly one in four caregivers spends 41 hours or more per week providing care. On top of these hours, the average American spends more than one-third of their day (five days per week) at the workplace. While there is no denying caregiving can be a rewarding and meaningful, caregivers are at great risk of burnout, stress, absenteeism, and overall life dissatisfaction. Nevertheless, the U.S. as a whole must consider not only the health of the aging population, but to those who provides their ongoing care. More seniors cared for at home requires the assistance from a caregiver, including the duty of meal preparation. But with Silver Cuisine, seniors obtain well-balanced meal straight to doorsteps while caregivers are granted less task off their plate! Silver Cuisine is an á la carte, gourmet meal delivery service, allowing seniors and their caregivers to not only order what meals and snacks they want, but when they are wanted. A team of professional chefs and nutrition experts utilizes the freshest of ingredients to create well-balanced entrees to meet nutritional needs. Silver Cuisine also considers a wide-variety of special diets without comprosing flavor and seniors can find comfort in knowing health can still be achieved while still consuming tasty meals! 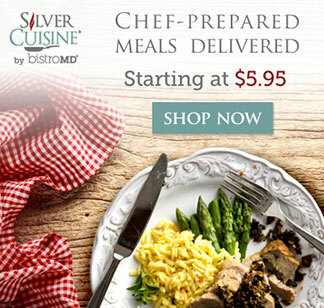 Silver Cuisine offers Heart Healthy, Gluten Free, Low Sodium, and Diabetic meals. Senior AARP members can also take advantage on special discounts, while any order over $99 is eligible for free shipping. For more information on Silver Cuisine and the programs it offers, visit the official webpage here or call 844-404-FOOD (3663) today!